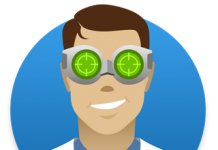 One of the many reasons why most data recovery apps for Mac don’t work is simple: Mac has an impressive set of security options. Because of this, around 80% of recovery apps for Mac donot work as we expect them to. Wondershare Recoverit, however, is all set to make a difference here. Wondershare claims that the data recovery software has a successful recovery rate of 96%. 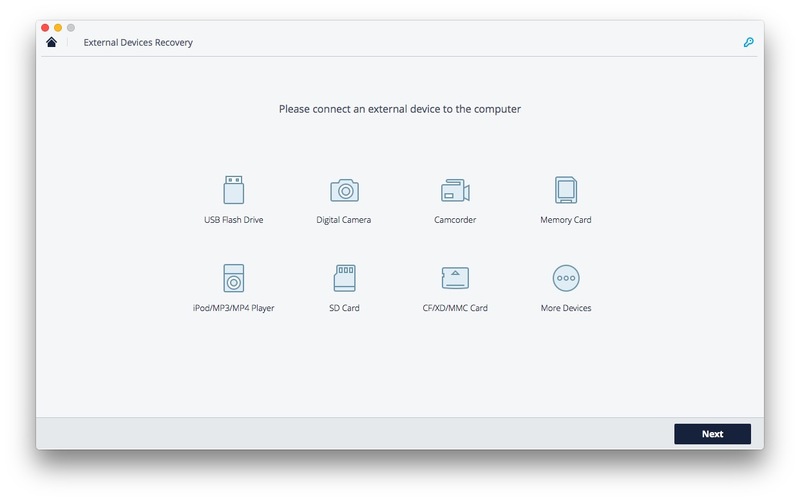 It was one of the many reasons why we decided to try out Wondershare Recoverit for Mac. After using this all-in-one Mac data recovery tool for recovering many kinds of lost data, we have come down to a decision. Down below is the detailed review we’ve prepared, in light of our experience with Recoverit for Mac. 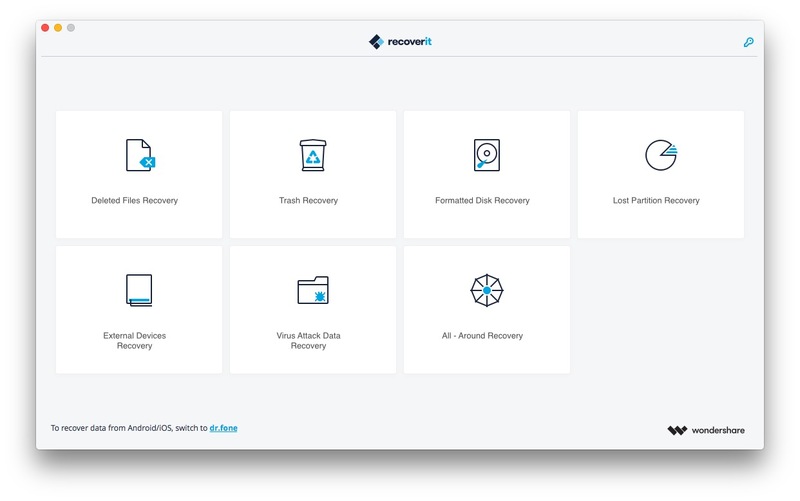 Recoverit from Wondershare is an all-in-one data recovery suite, available for both Windows and macOS. In this review, we have tried the macOS version while exploring the features. However, if you like the features like 96% recovery rate and utmost compatibility, you can try the Windows version too. 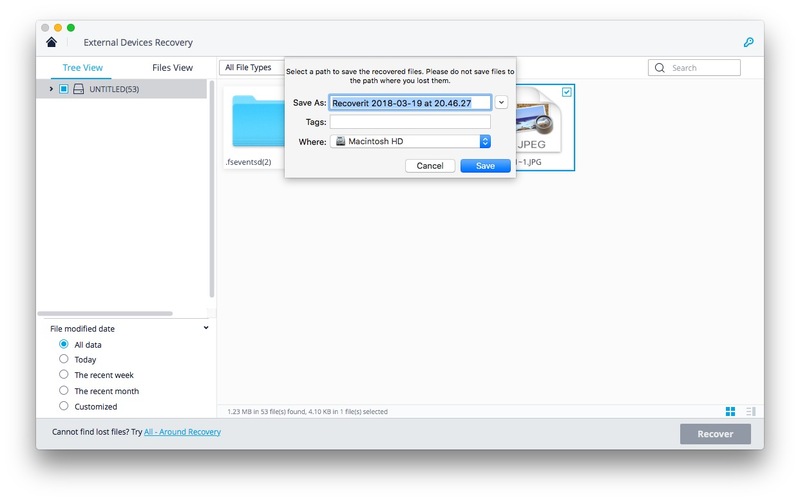 Using Wondershare Recoverit, you can recover lost/deleted data from a variety of sources. As far as the Mac version is concerned, Wondershare Recoverit is quite compatible too. If you have an iMac or MacBook that’s running Mac OS X 10.8 or later, you can use Wondershare Recoverit for all your recovery needs. Now that we’ve covered the basics, shall we check the different aspects of Wondershare Recoverit? Out of the seven recovery modes, six are scenario-specific or device-specific. On the other hand, if you aren’t sure about the reason for deletion, you can go for the All-Round Data Recovery. Recoverit is going to use the same, powerful algorithm in all these modes. For instance, we can take External Devices Recovery, which you can use for recovering lost or deleted data from USB Drives, Memory Cards and all sorts of external devices. In our case, we connected a USB drive and in seconds, Wondershare Recoverit started scanning the device for recoverable files. 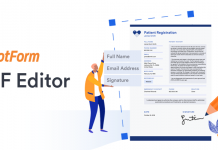 Depending on the size and potential of recovery, Wondershare Recoverit may take a few seconds or minutes to complete scanning. As the scanning progresses, you can see the number of to-be-recovered files. The tool will also notify you when the scanning process is complete. 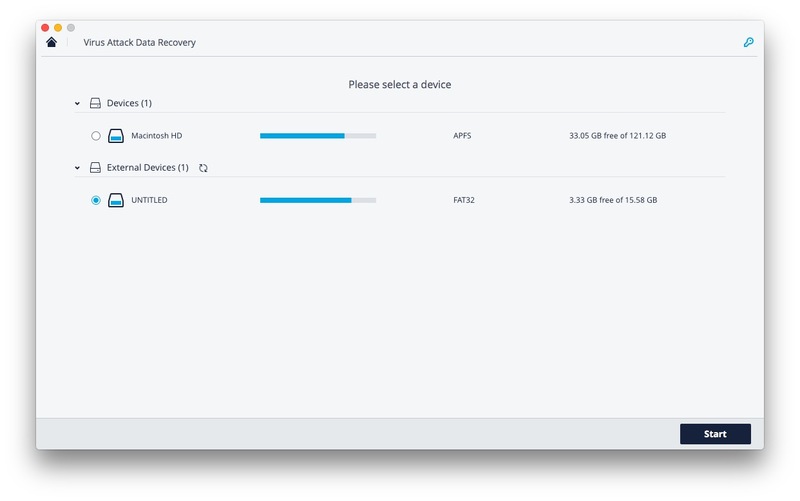 Unlike the many tools you’ve seen, Wondershare Recoverit offers an option for selective recovery. It means that you can select which files are to be recovered before hitting the Recover button. Not only that, there is also a Preview option. 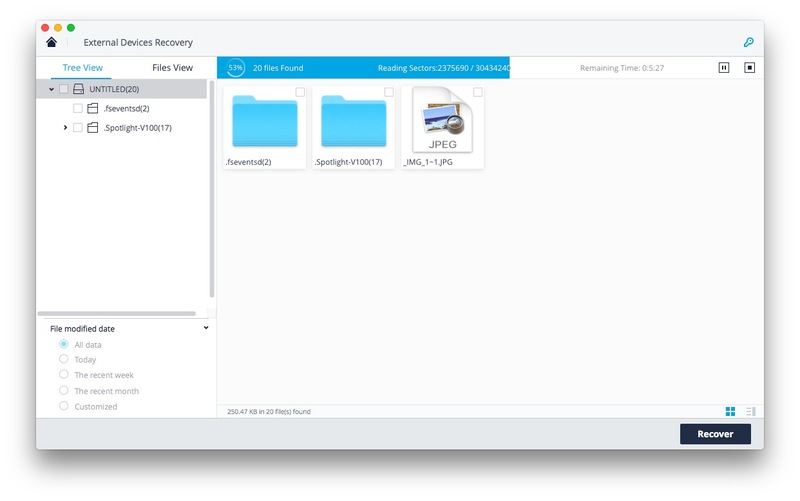 In short, we think the file recovery system of Wondershare Recoverit is impressive enough. We also tried its other recovery modes — each of them being better than the other! We wouldn’t say that the Wondershare Recoverit is the fastest recovery tool for Mac. However, what should be noted is the recovery rate potential. While considering that, it does a great job in recovering different set of lost data. We should also consider the fact that Wondershare Recoverit supports a wide variety of devices and file systems. 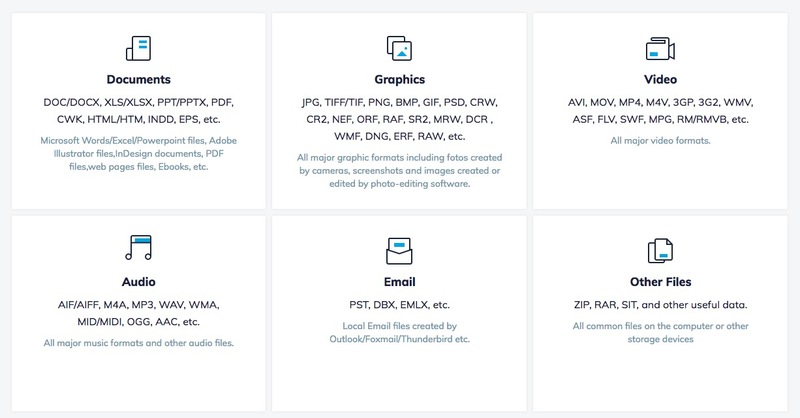 This is what we mentioned earlier: Wondershare Recoverit supports more than 550 data formats, which go into different categories like Documents, Graphics, Video, Audio, Email and others. And, coming to the type of file systems, there is a lot. Since we are talking about Mac, Recoverit smoothly deals with APFS, HFS+, HFS X, NTFS and FAT/exFAT. 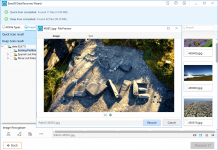 There are a few things we loved about Wondershare Recoverit. It’s simple to use, it’s comparatively quicker, it’s offering top-notch compatibility, and it’s affordably priced. It’s hard to believe that you can purchase the Mac version for just $79.95, for the one-year license. 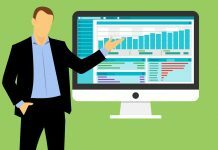 Considering that you wouldn’t need other tools for any types of recovery in the future, the amount seems quite reasonable. Conclusively, Wondershare Recoverit is surely one of the best utilities you can buy right now.